With the same woodsy taste as Starbucks Juniper Latte, the new Juniper Flat White unearths strong espresso paired with juniper and sage notes to deliver a fresh and wintry flavour. But don’t be fooled! The Juniper Flat White is not a carbon copy of the Juniper Latte. In fact, it’s quite different when you consider how each hand-crafted beverage is made. The Starbucks Latte combines rich espresso and a thin layer of foam to invoke a more subtle and creamy taste; a Starbucks Flat White is light, smooth and bold due to its velvety micro-foam and Ristretto espresso. Fun fact: Ristretto refers to a “restricted” shot of espresso — the barista pulls only the first portion of a full-length espresso shot, meaning less water is pushed through the grounds, giving it a sweeter, richer and more full-bodied flavour. 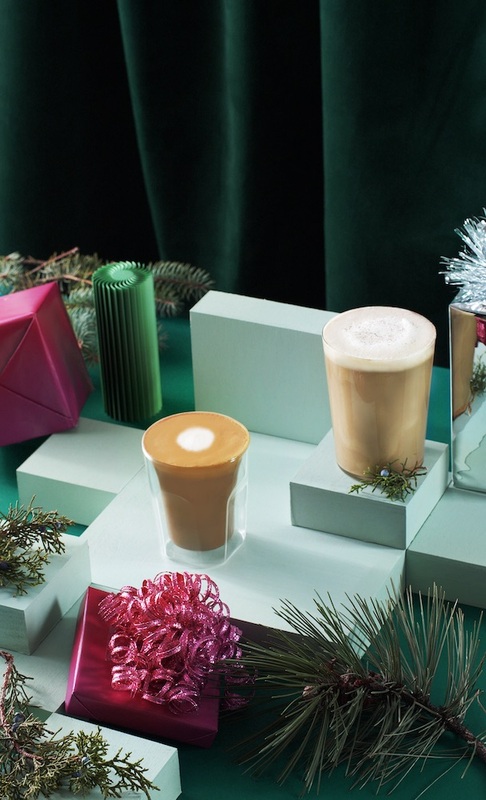 For those who prefer a more coffee-forward taste with a subtle hint of juniper, the new Juniper Flat White is a flavourful and festive take on a Starbucks classic. It’s the perfect, every-day holiday beverage handcrafted specifically for us in the Great White North.